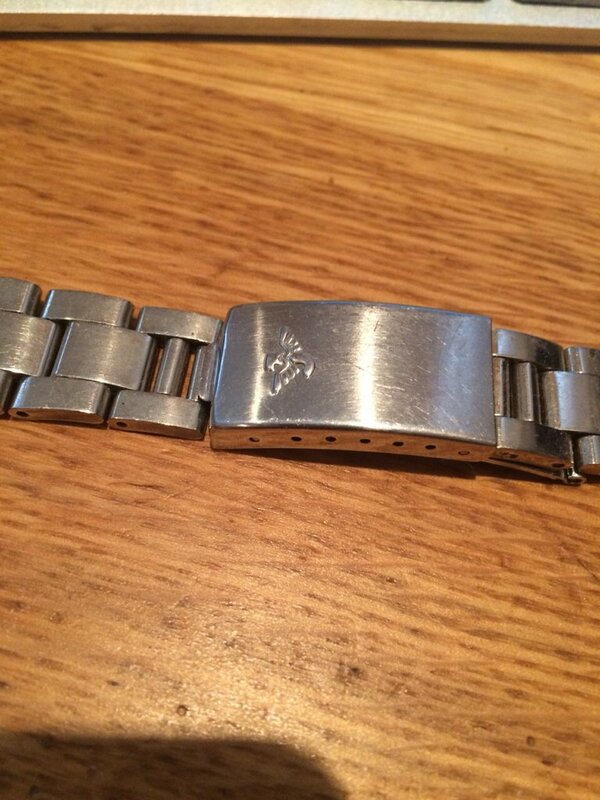 Does anyone recognise this bracelet Brand? Thread: Does anyone recognise this bracelet Brand? I discovered this in my box of old bits n pieces but have idea who the brand is.... Junghans, Jaeger, Jules Jergenson ? Any ideas? It's a great logo, but sadly I don't recognise it sorry mate. I bet Dave S knows! !